2019 is set to be a big year on the political, economic and social fronts, with elections, policy promises, banking commission findings and mixed trends in the property markets around the country. Whilst the environment may appear challenging and will deter some influenced by sensational media headlines, in these times it is important to remember that property investment is long term play. For those in the position to invest, they may actually benefit from lack of competition in the market and secure a sound investment. Australia has many property markets doing different things at different times. 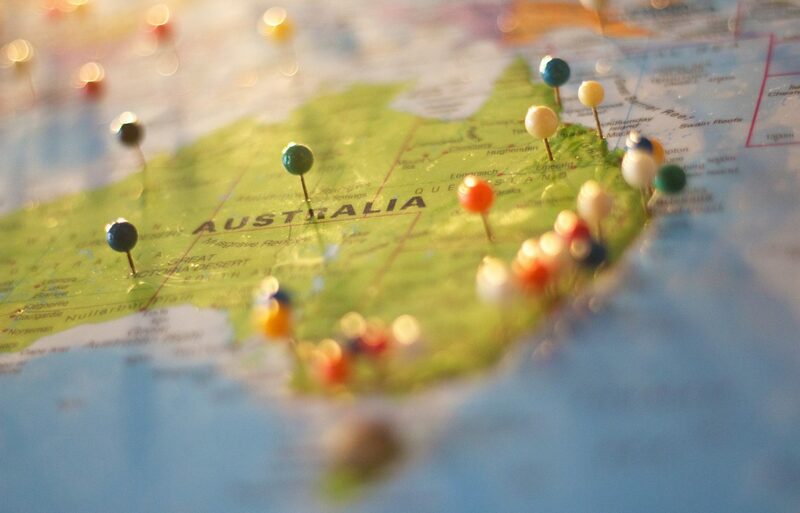 In 2019, the localised correction in prices suffered by Sydney and Melbourne won’t necessarily be felt everywhere else. Brisbane is likely to outperform Sydney and Melbourne during 2019, having already started to absorb the overhang of inner CBD apartment stock. Credit tightening will have less of an effect, because the gap between earnings and dwelling prices in Brisbane was less than in the bigger cities, where price-to-income ratios are higher. Canberra is likely to enjoy single-digit growth, boosted by a possible change of Federal Government and boost in numbers of Commonwealth Government public servants. In Perth and Darwin, where the local economy reflects the fortunes of the mining economy, the market could hit their bottom after steady declines over the past four years. Adelaide is likely to continue the calm growth it has seen in recent years with 2 per cent gains this year and next, assuming no major shocks, says Domain Group, majority owned by Nine, publisher of The Australian Financial Review. The steam is likely to come out of Hobart sails after a couple of solid years of unsustainable growth. As it is a small market it is important to remember fortunes can move in both ways fairly swiftly. AMP Capital’s chief economist Shane Oliver acknowledges recent declines in Sydney and Melbourne would be regarded by many as a property crash, however he says the size of the decline needs to be put into perspective relative to how much prices rose in the cyclical upswing. “A 25 per cent plunge in Sydney and Melbourne may seem like a crash but given the extent of the prior gains it’s arguably not,” he says. The property market is largely driven by the basic economic principal of supply and demand. Supply is forecast to drop 25% over the next 5 years according to Master Builders Australia’s (MBA) latest forecast. In a low supply scenario, it won’t be long before prices rise and reward savvy investors who realise the solid long-term performance of housing and invest counter-cyclically, i.e. at the bottom rather than the top. “The fundamentals are still there, the economy is solid, as is population growth, and interest rates are very low and likely to stay that way” points out Master Builders Australia chief economist, Shane Garrett. As one of the most successful investors of all time, Warren Buffett famously states, “Be fearful when others are greedy and be greedy when others are fearful.” Regardless of dramatic media headlines, elections, tax reform, lending environment, GFCs, recessions and whatever else may transpire, property has always proved a solid investment if a long-term view is adopted. 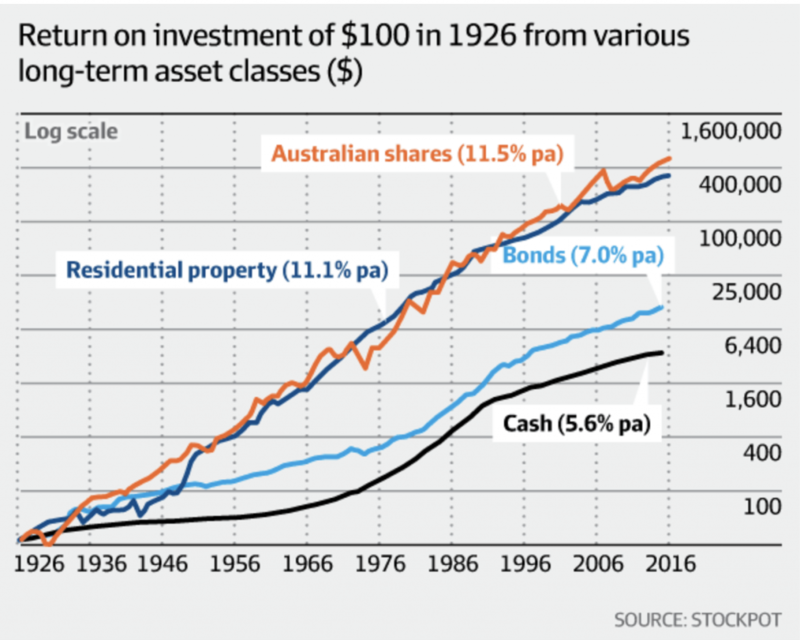 Below is an interesting graph showing the comparison between some asset classes over a long period (90 years). It looks like shares and residential property have had a similar result ~11% p.a, with property being far less volatile along the way. Another attractive feature of property is the superior ability to leverage, i.e. borrow funds up to 80-90% against the value of the property. Even at a low level of gearing this would promote property to be a far higher return on investment. As with any leverage, results can be amplified the other way too, therefore asset selection and research are vitally important. Is 2019 a good year to invest in property? Do you have a clear understanding of your strategy? What are your goals for the investment, price budget, cash flow requirements, do you need diversity in your portfolio etc? Do you have the ability to borrow funds and the deposit ready? The lending market is constantly changing so it is vital to speak with a mortgage professional who can find the right product for your situation. Do you have buffers or a contingency in place to cover any shortfall on the property expenses? Make sure you understand how the cash flow works on an investment property and you have surplus funds available and adequate insurances in place such as personal income and landlord’s insurance. 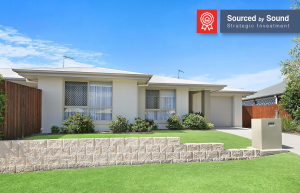 Sound Property appreciates that property investment should not be a ‘one-size-fits-all’ approach, and as such we offer personalised strategies based on a client’s goals, financial situation and risk profile. Our fully licensed team has experience in the residential and commercial sector, property syndicates, developments, and rural transactions. We look forward to assisting with your property requirements in 2019. Want to see how your income is impacted before you make your next property investment? Sound Property’s FREE Cashflow Calculator combines the rental revenue and operating expenses of a property investment to measure the change in your weekly and annual income.